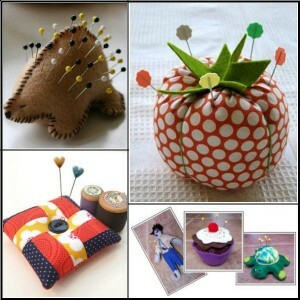 If you are a sewist then you know that having an awesome pincushion is a staple. 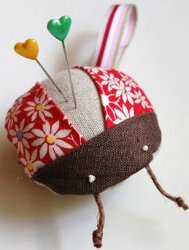 We all have lost a needle or two (or ten) so finding the perfect pin cushion is a must. The best solution to finding the perfect pin cushion is to just sew one yourself! We have assembled a collection of not only the most practical pincushions to sew but also some of the cutest. 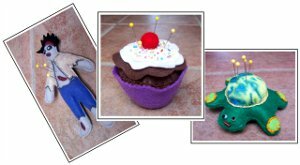 We have super cute and simple pin cushions for those just starting to sew (or those who have never sewn before and are looking for a project to start) to pincushions with crazy and fun designs like animals or cupcakes. No matter what you are into or what you like, we have the perfect pincushion for you. 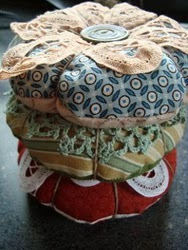 These pin cushion patterns are very simple to make and are some of the most darling things. 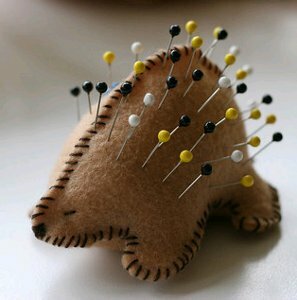 Prudent Baby has created probably the single cutest pin cushion I have ever seen with their porcupine design. I love the fact that the needles are the porcupine’s quills. If the porcupine design is the best thing ever, then this Bitty Bug pattern is a very close second. These free pin cushion patterns are perfect for every sewist. These pincushions act like a piece of jewelry so they stay with you no matter where or when you sew. 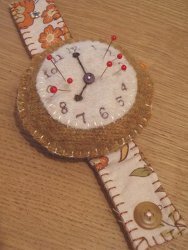 Lucykate Crafts came up with the amazing wrist watch pincushion idea. This precious design allows you move from place to place without losing all of your pins. 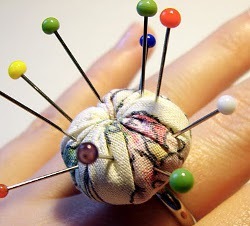 My Little Nook came up with the clever design for the ring pincushion. 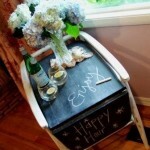 It is extremely easy to make and will work wonders for your future sewing projects. 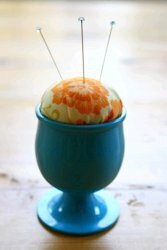 The Sometimes Crafter came up with this Egg Cup Pincushion which not only requires sewing but also requires flexing your crafting muscles as well. Lastly, we have the Over(ly) Easy Pincushion from Speckless. The name of this project matches the project itself: super cute and fun! If you could pick one thing to turn in to a pin cushion pattern, what would that one thing be? 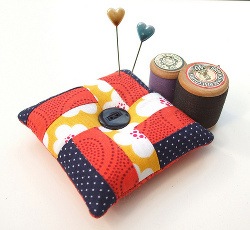 AllFreeSewing Presents The Creative Pincushion Challenge! Wondering what the creative pincushion challenge is? Well, a few months back we challenged you to create projects using only fabric from your stash in the Stash Busters Challenge. This time around, we’re challenging you to create creative pincushions. Every sewist needs them and they’re simple and fun to make; not to mention we always find wacky, unique and lovely pincushions all over the web. 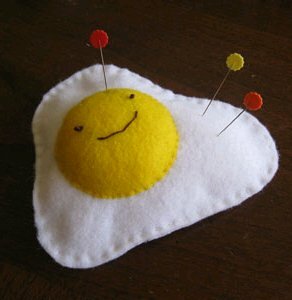 We’ve recently added new pincushion projects to the site so you’ll have tons to choose from! 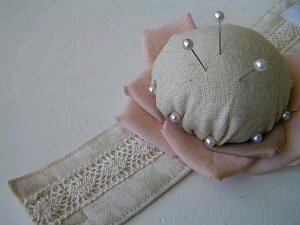 Today and for the next two Mondays we’ll feature a different pincushion theme in the newsletter. The first week, we’re featuring classic pincushions. Find a project you feel inspired to make and once you complete it, post a photo on our Facebook page to share it with the community. At the end of the challenge (June 29th) we’ll choose one participant at random to win a special prize! But hey, we’re all winners here because if you post a photo there’s a chance we’ll feature it in one of our newsletters! Here’s your chance at fame! *If you’re not subscribed to receive our newsletters, subscribe here. 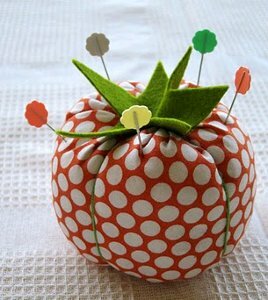 Will you participate in the creative pincushion challenge? Let us know below!